Commodity Trading News And Technical Analysis Reports. 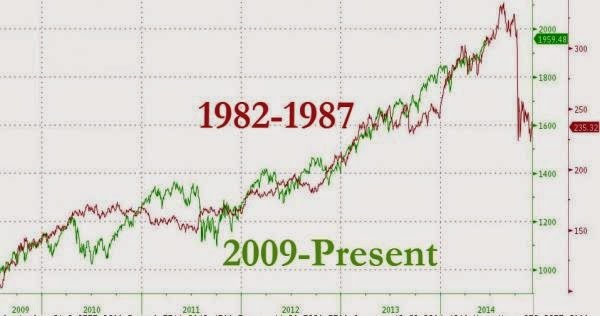 : It's Never Different This Time - 1987 or 2014? While the price analogs of the last few year's exuberance in US equity markets are enough to worry all but the most systemically bullish "believer"; we suspect the following article from the LA Times In the Spring of 1987 will raise a few hairs on the back of the neck of perpetually optimistic extrapolator.. It's never different this time..
Also, the sluggish economy--by keeping manufacturing rates low--discourages money from flowing out of financial assets into such investments as factories and machinery."